With the help of eCommerce, the customer has increased its reach across the globe with different products from different vendors in the Marketplace website. If the customer can view the seller or vendor whose product customer is purchasing, then it will benefit the seller in establishing its name and fame in the market. 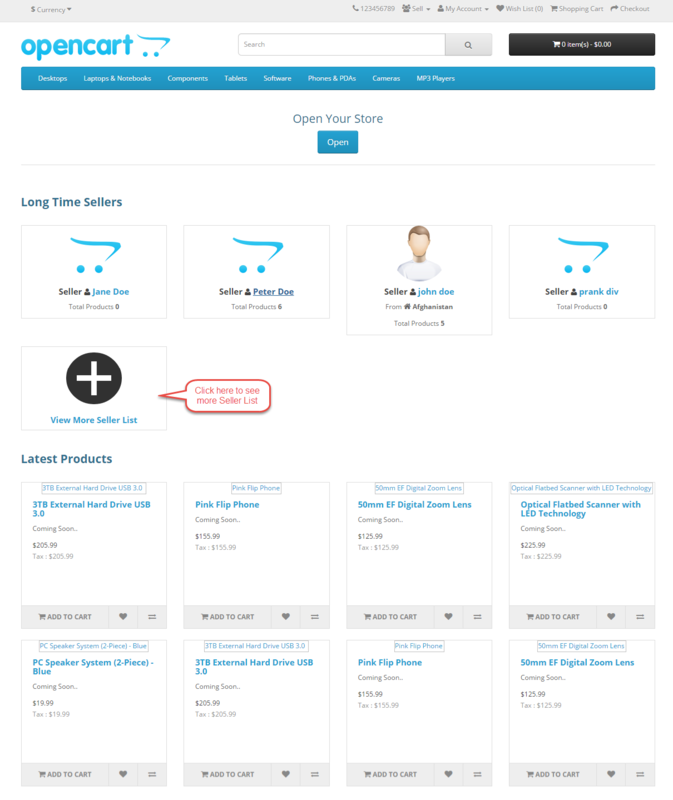 With the Opencart Marketplace Seller List module, the customer with a view the seller listing on the homepage and the sell page of the website. In a marketplace website having multiple vendors selling their products often attracts more traffic than the individual website. But most consumer or buyer don’t get to know the seller or brand which might make it difficult for the seller to distinguish oneself from others. But with Marketplace seller list add-on, the customer will be able to view the seller and their respective products are making it a lot easier for the seller to advertise and promote their brands in the market. Most of us try to purchase products from the seller whose products are long-lasting and turn out to be a real deal. This builds the customer a conscious of trust about a specific seller and brand. If you know about the brand or vendor, it will become a lot easy to distinguish the product. And with this add on, the admin can easily display the product listing of the sellers on the home page in any specific size as required. It’s not always easy to search out a physical store of a peculiar brand. Ecommerce makes it easier for you to get what you want. It becomes more comfortable if you can pick up the seller that you know sell your products rather than searching for products in the search column and separating the similar products from the one you want. Consider an example that you are stamp collector with the knowledge of seller. Seeking the seller search will be much easier for you than searching the product by its name. 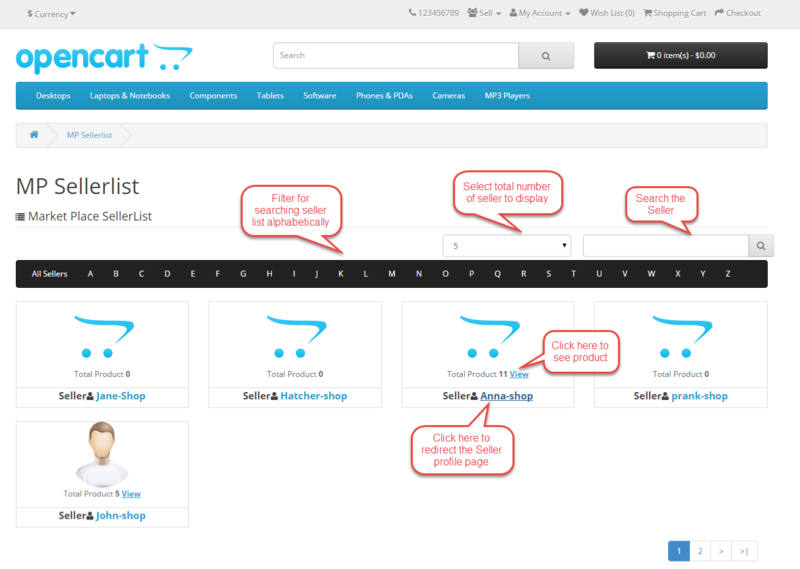 Such functionality can be easily accomplished by integrating the seller list module into your Opencart website. If you have any sort of query or requirement, then please feel free to revert us at support@webkul.com.